Congratulations to CBG Systems winner of the Manufacturing Award 2018 and named the Tasmanian Exporter of the Year 2018. A fantastic effort by Javier and his team, and we know the amount of work that they have put into CBG over the past three years to elevate them to a leading international defence exporter. Biofouling solutions won the Tasports Environmental Solution Award 2018. 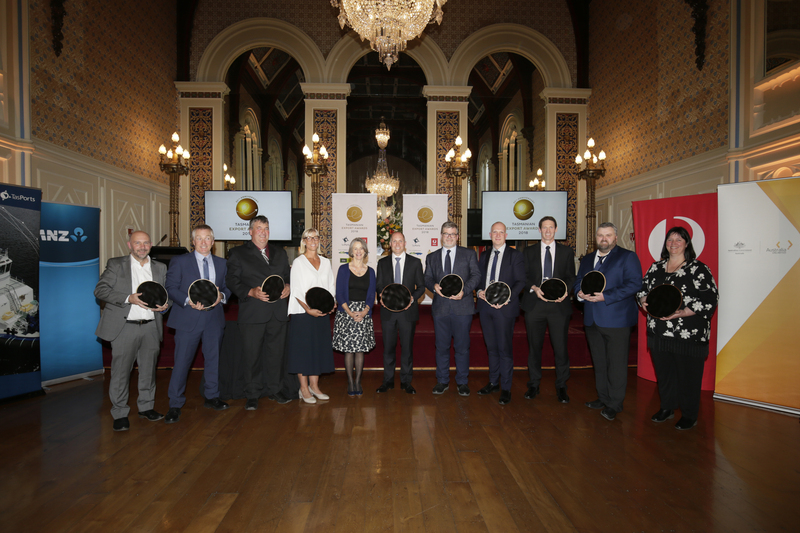 INCAT Tasmania won the prestigious, 25th Anniversary Award for contribution to the Tasmanian Export Community.